This Redding Hotel is Near the Shasta Cascade RegionThe Holiday Inn® Hotel & Convention Center Redding, is centrally located within Shasta County businesses and attractions, offering the perfect location for corporate and leisure travelers alike. While visiting Redding, hotel guests can take the short drive to explore the great outdoors and visit Mt. Shasta Ski Park, Shasta Lake, Whiskeytown Lake, Mt. Lassen Volcanic Park, McArthur Burney Falls, Redding's own Sundail Bridge and much more. 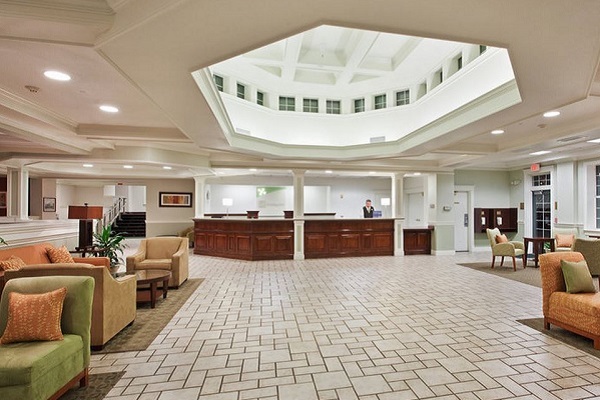 This business traveler friendly hotel in Redding, California places you near businesses such as: State Compensation Insurance Fund, Blue Shield of CA, Bethel Church, Mercy Medical Center, Big League Dreams Sports Complex and Redding Convention Center. The hotel's property is also near the Cascase Theater, Sacramento River Trail, Turtle Bay Exploration Park, Waterworks Park and many other places your family will love to visit. Free high-speed, wireless Internet access is available throughout hotel's property including all our meeting rooms. The hotel also has more than 8,000 square feet of event and meeting space, as well as a public Business Center complete with a printer. While in Redding enjoy a great meal at the Braided Mane, the hotel's restaurant or happy hour in our lounge. Other amenities include an elevator, a work out room and an outdoor pool with pool side service. We hope to see you soon.